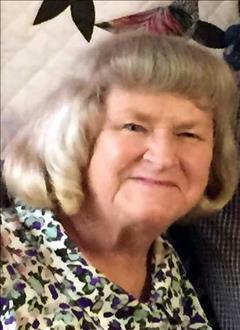 LaDonna "Susie" Dodge, a life resident of Henryetta passed away Friday, April 12th, 2019 in Henryetta at the age of 74. She was born January 23, 1945 in Henryetta to Lester Minyard and Alberta (Gunning) Minyard. She married the love of her life, Dennis Dodge August 30, 1960 at the First Christian Church in Weleetka. They enjoyed over 58 years of marriage, and to this union one son was born, Steve. 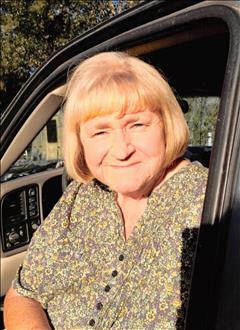 LaDonna taught school at Henryetta public schools for over 30 years, teaching English, language arts and speech, retiring in 2006. She was a member of the First Assembly of God Church in Henryetta. Also by a host friends and other relatives. She is preceded in death by her parents Lester and Alberta Minyard, two brothers, Skip Minyard & Bobby Minyard, a nephew, Shawn Minyard, her mother & father in law, Emmett & Leona Dodge, as well as a brother in law, Bruce Dodge. Pallbearers will be, Chad Spurlock, Terry Minyard, Dan Artussee, Morris Dodge, Greg Rector & Brad Williams. Services are scheduled for 2:00 p.m., Tuesday at the First Assembly of God Church in Henryetta with Rev. Brett Wheeler & Rev. Rodney George officiating. Interment will follow in Westlawn Cemetery under direction of Integrity Funeral Service.